Let’s say you want to invite your new users to CRM Online using their corporate email address, however you are not sure if their corporate email address is their Windows Live ID (WLID). Why would I do this? 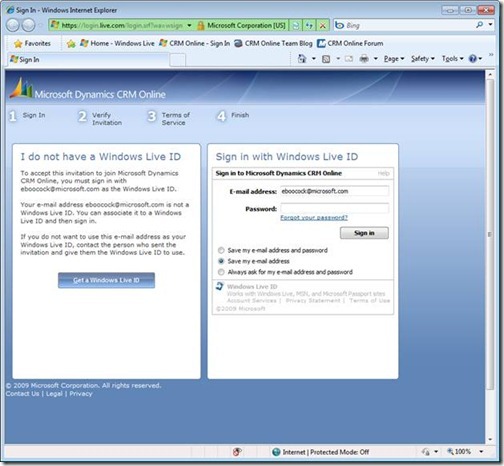 Well if you send the invite to a Windows Live account (like @live.com or @hotmail.com) the invitation will be delivered to that Hotmail account and they may not monitor it regularly, thus thinking they did not receive an invite or being unaware that they were invited. 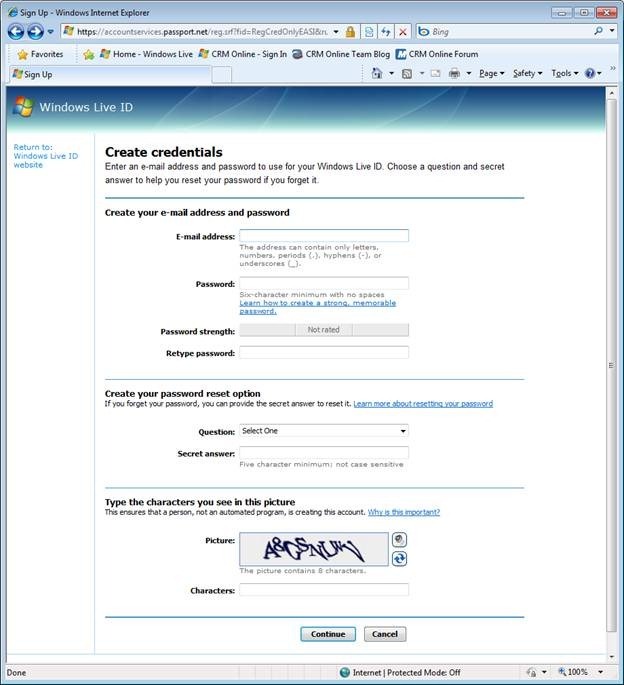 The easiest way to ensure your users get their invite successfully is to instruct them to associate their corporate email address to WLID. The following process illustrates exactly how to do this. 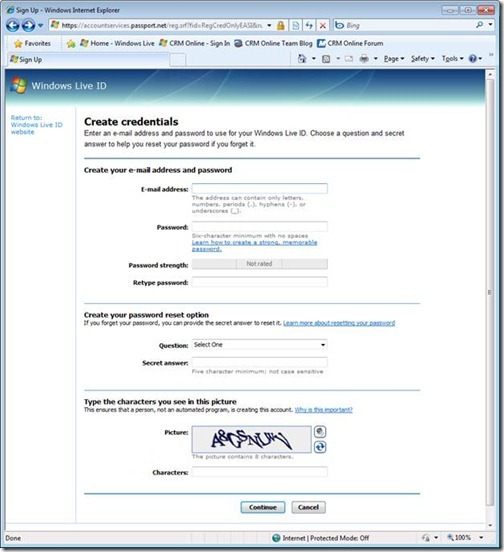 Invite the user using their corporate email address. 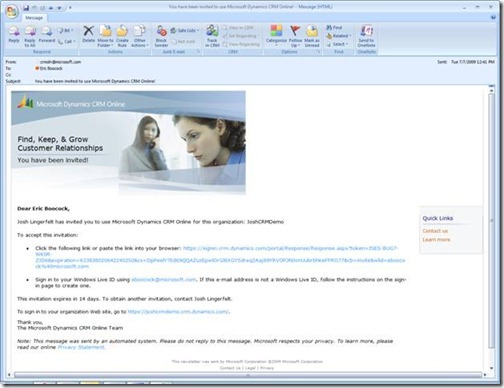 When the user receives the email address, click on the link to accept the invitation. 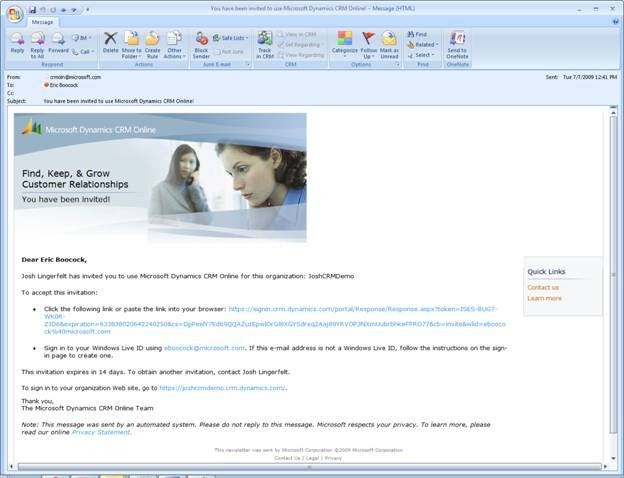 You now have associated your corporate email address to a WLID and will be able to successfully accept the CRM invitation by logging in with this newly created WLID email address and password.